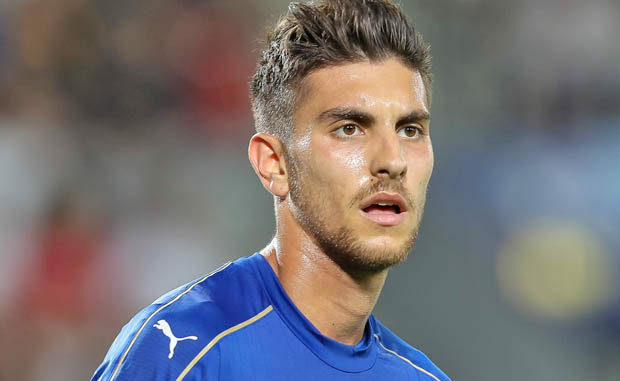 Manchester United have reportedly received a boost in acquiring the services of Lorenzo Pellegrini from AS Roma this summer. The Italian only rejoined the Giallorossi from Sassuolo last summer and has since made 37 appearances across all competitions. Despite this, it is not entirely certain Pellegrini could part ways with the club with Dzeko and Manolas also mentioned whilst the recent contract extension of Marouane Fellaini has presented doubts over the club’s pursuit of another midfielder. At full strength, summer signing Fred, Paul Pogba and Nemanja Matic are very much certain to occupy the starting midfield roles and with the likes of Ander Herrera, Marouane Fellaini and Scott McTominay to provide back-up, a move does not make sense unless there is a probable exit. Of late, Herrera has been associated with a potential return to the Spanish La Liga with Athletic Bilbao and Barcelona interested and the uncertainty behind the Spaniard’s future may trigger the need for a younger replacement. Sign Pellegrini quick before we end up with Alderweireld. Or Savic or Cilibic, what, not heard of him or is it her, think about it. Please hurry up to buy Williams from Chelsea to play on the right and get possible back up for Valencia including lawandoskie of Baryarnmunich. This is the only way we will win the premiere league and champion league as well. Ivan perisic is one key player Man Utd should look up to. Man U needs to buy maguire, pellegrini,William plus one more striker then we shall compete with city but united normal scouts for other clubs that end up winning the league, like united talked of Riyad then dropped off interest but now the noisy neighbors have taken him we shall see regrets. Come on United, we are the richest club in the whole world so spend inorder to win.